We’re going to be starting the 31+ Day Course Soon! 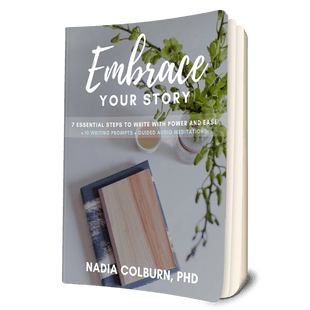 I’m Nadia Colburn, and in this course, I’m going to lead you through a short practice each day that consists of a short meditation, a writing prompt and ten minutes of supported writing time. Please join the facebook group, and connect with others there. This week, we’re going to work with the theme of presence. I offer a writing prompt that you can work with differently each day of the week. See where it leads you. I look forward to seeing you in the facebook group.